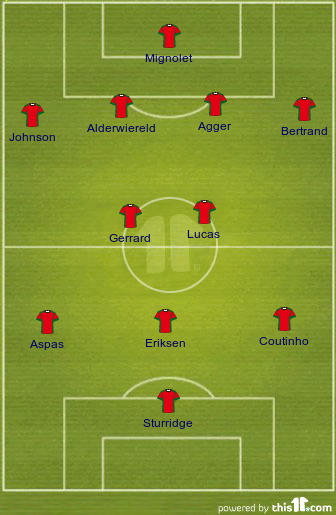 Rodgers wants Eriksen, Alderwiereld and Bertrand to fire Reds into top four. Liverpool manager Brendan Rodgers is targeting Ajax pair Christian Eriksen and Toby Alderwiereld, as well as Chelsea left-back Ryan Bertrand, according to The Daily Mirror. Rodgers is now trying to sign players for his first team, after strengthening his squad earlier in the summer with Simon Mignolet, Luis Alberto, Iago Aspas and Kolo Toure. Liverpool would expect to pay around £22m for the Ajax pair, who both have one year remaining on their contracts. Alderwiereld recently failed to agree personal terms with Norwich, so the 24-year-old is available again. The Reds are desperate for a top quality centre-half after Jamie Carragher’s retirement at the end of last season. Alderwiereld would be a perfect fit for Rodger’s Liverpool side, because of his ability on the ball, and his experience of playing for a team that prefers a passing brand of football. Current centre-half Martin Skrtel on the other hand, has fallen out of favour because of his no-nonsense style. Christian Eriksen would be Liverpool’s signing of the summer. The 21-year-old would appease Reds fans after the disappointment of missing out on prime target Henrikh Mkhitaryan to Borussia Dortmund. Ajax boss Frank De Boer accepts that there is little he can do to stop Eriksen moving to Anfield. “I would want nothing more than having Christian with us for a few more years. “But we realise that the interest in this kind of player is huge. And I can also understand that he wants to make another step in his career. I can’t stop him,” he said. The comments seem a little outdated, as Liverpool’s entire philosophy last season, often to their detriment, was based on a passing brand of possession football. Ryan Bertrand would seemingly compete with Jose Enrique for a startng spot. The Reds clearly want to add another left-back to the squad, and have been closely linked with Valencia’s Aly Cissokho. It is unlikely Chelsea would want to sell the left-back though, who is the only academy player to establish himself in the squad since John Terry.